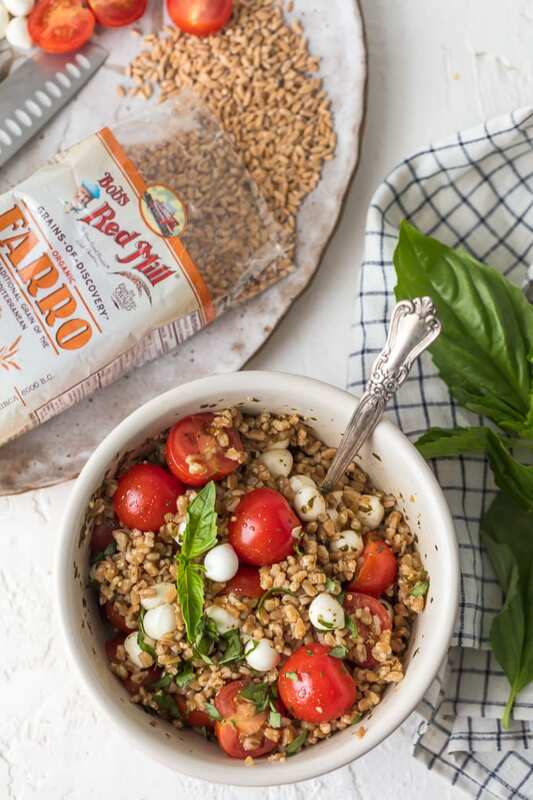 Caprese Farro Salad was sponsored by Bob’s Red Mill. All opinions are my own. 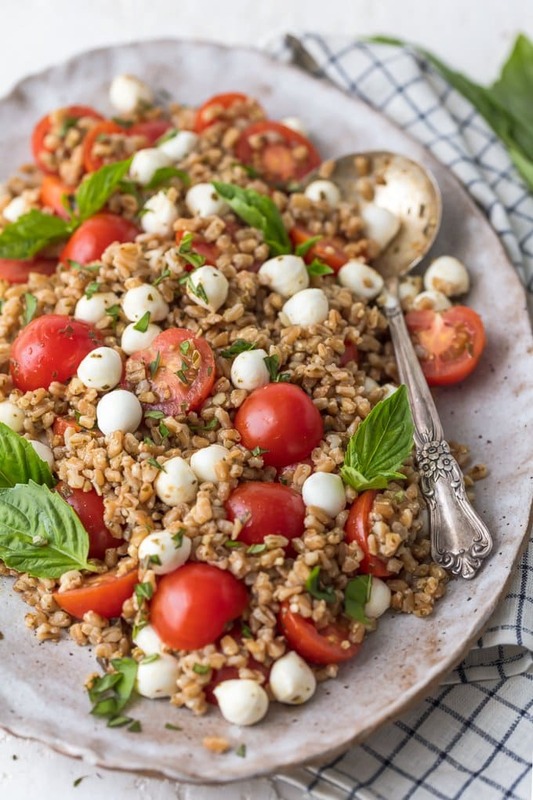 Caprese Farro Salad is a healthy side dish sure to please every member of the family. Caprese Salad with Farro is our favorite way to enjoy the best flavors; tomatoes, mozzarella, basil, and balsamic. Farro is such an easy and good for you grain to prepare and goes with just about any main dish. 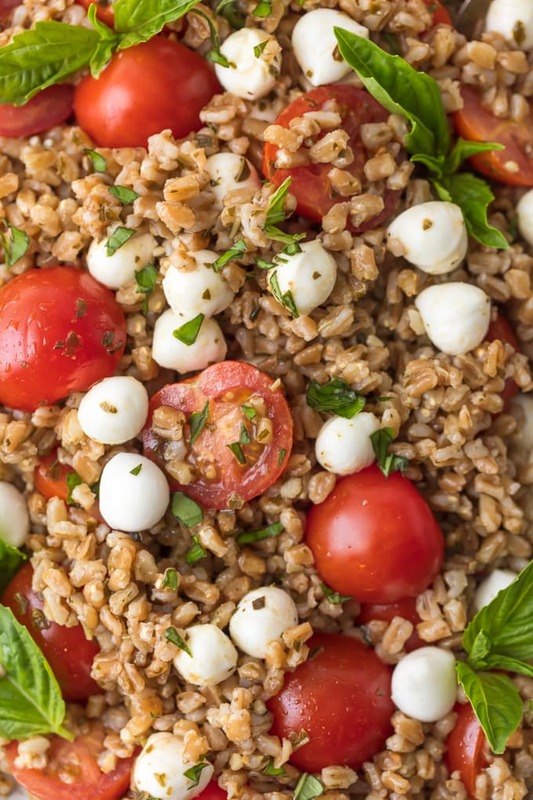 This Fresh Caprese Farro Salad Recipe is the perfect Summer Salad or meal! Caprese Farro Salad is the ultimate Summer Salad Recipe! It’s quick to throw together, absolutely delicious, healthy and fresh, and versatile as a lunch, dinner, side dish, you name it! It’s one of our go-to easy recipes and I’m so excited to share it with you. If you haven’t had caprese salad, or haven’t had Farro, you’re in for a treat! This is the type of recipe that’s delicious served warm, cold, or even the next day. Is this Heaven? 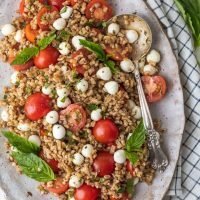 I’m always on the hunt for new and amazing EASY recipes to beat the heat this Summer and this Caprese Salad with Farro is just the thing. You can feel great about feeding your family this fresh and unique dish. 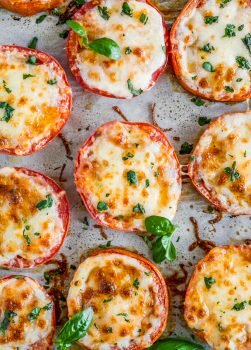 Everyone from my picky husband to ravenous 1 year old cannot get enough of this Caprese recipe! 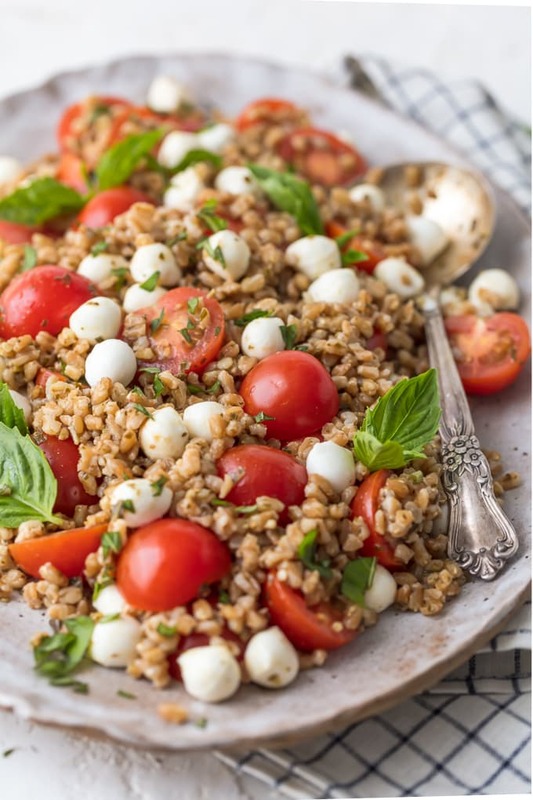 Caprese Farro Salad is beautiful, light, fresh, and most importantly EASY! It’s an amazing compliment to all of your favorite Summer recipes. If you haven’t tried Farro, you’re truly in for a new favorite ingredient! You guys know that I’m a hug fan of Bob’s Red Mill, and I’m working my way through trying all of their products. I’ve been wanting to try their Organic Farro for some time now, and I’m just so glad that I did. It’s SO delicious. Farro is a type of hulled wheat, typically prepared by cooking in water, and is eaten on its own or is perfect in salads, sides, and even soups. It’s a great way to make any meal that much heartier while still keeping things fresh and light. It tastes a bit like quinoa or rice, and lends itself to literally any flavor combination. I am OBSESSED. 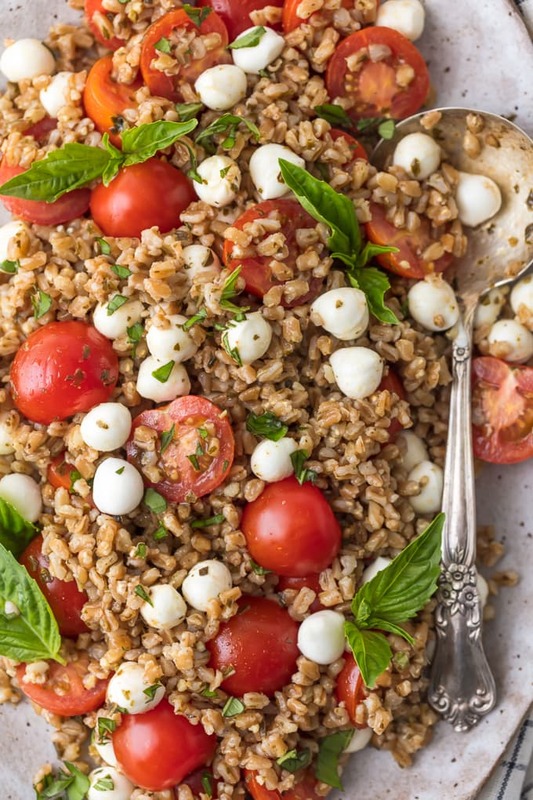 You MUST try it…and you must try it in this Caprese Farro Salad! 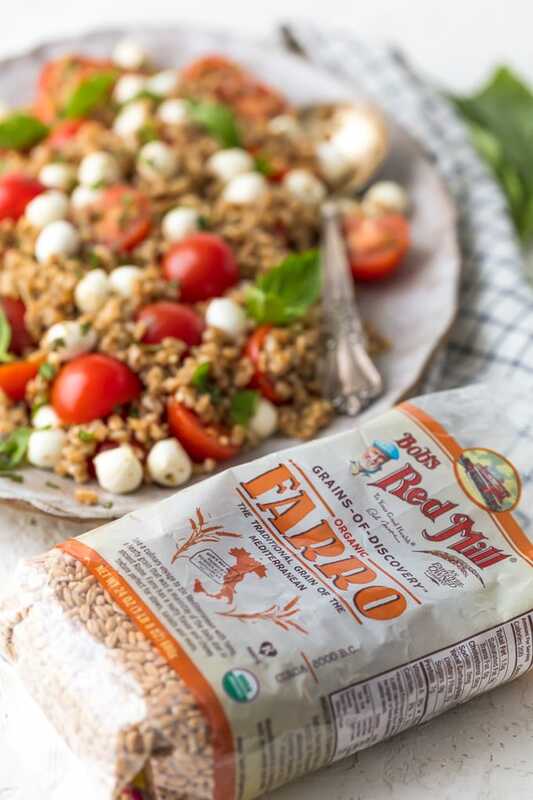 As with everything they make, Bob’s Red Mill has the top quality Farro on the market. It’s available almost everywhere, even on Amazon! Click HERE to see where to buy. You won’t regret it! Caprese Salad is traditionally made with tomato, mozzarella cheese, fresh basil, and balsamic dressing. We have changed things up here by adding organic Farro, and I think its a delicious addition indeed. It takes a side dish salad and turns it into a filling main dish. Perfect for Summer! Can this Caprese Salad can be made ahead? Chop up the mozzarella cheese, basil and cherry tomatoes. Store in an airtight container. Prepare the Farro according to package instructions. When ready to serve, drizzle on the balsamic vinegar and stir in pesto. How long will this Caprese Farro Salad last? 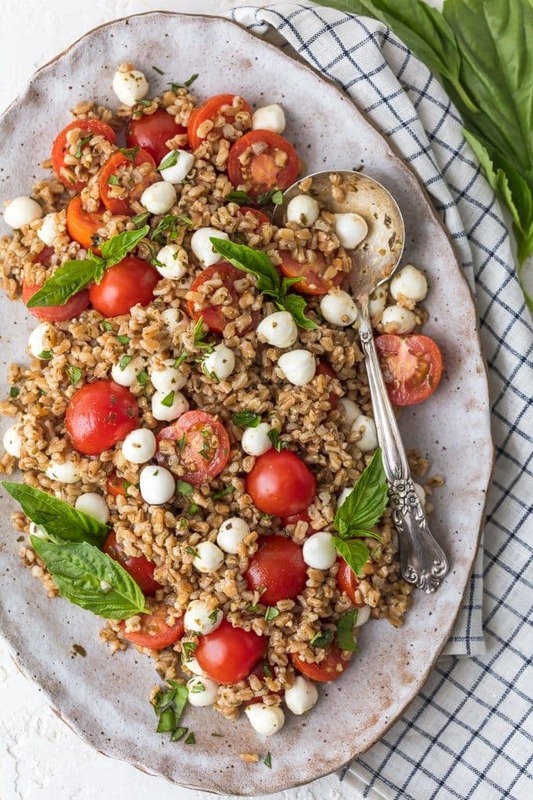 This Caprese Farro Salad will stay fresh in the fridge for 2-3 days. Just fluff the farro and if needed stir in a bit more olive oil or vinegar and serve! It’s great sent for a work or school lunch or enjoyed one night as a main course and the next night as a side dish. Delish! 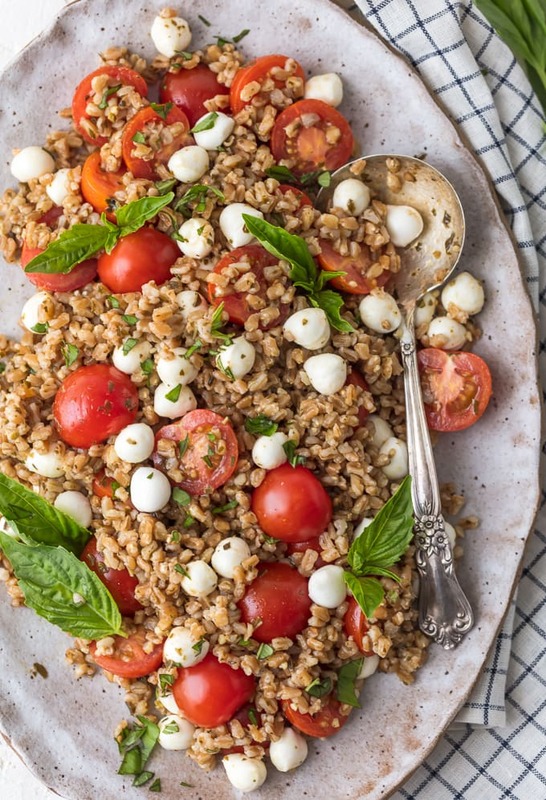 What to serve with Caprese Farro Salad? I’m so excited for you to give this Caprese Farro Salad a try. I have a feeling it will be on your Summer rotation just like ours. When I know I have a bowl of this goodness waiting for me in the fridge…I’m sure to have a great day. Watch the VIDEO or see the recipe card below for details on How to make Caprese Farro Salad! Add Farro to 3 cups salted water in a medium saucepan. Bring to a boil. Reduce to a simmer, and allow to simmer for 30 minutes. Drain the excess liquid and allow to cool. In a large bowl stir together the pesto, tomatoes, pine nuts, balsamic vinegar, olive oil, and mozzarella pearls. Sprinkle with salt and pepper to taste. Toss to fully combine. Serve garnished with chopped fresh basil. 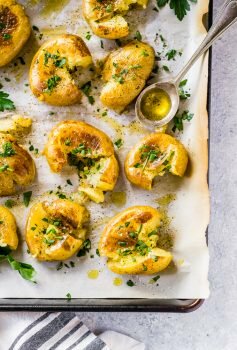 Andiamo alla tavola ! Tutti ! Thank you so much !